You can find the answers to different questions related to shipping, return and refund below. In case you don’t find the information you’re looking for, please send us a message contact@dressarteparis.com or whatsapp us and we will be happy to talk to you! We have partnered with DHL to ensure you receive your order asap. You can also choose EMS delivery if you don’t mind waiting for a little bit longer. Tracking numbers are provided for all shipments. Product prices displayed are exclusive of all taxes and duties. As the recipient, you are liable for all import duties, customs and local sales taxes levied by the country you are shipping to; payment of these is necessary to release your order from customs on arrival. All transactions are done in the customer’s local currency. Can I return the clothes ordered? It’s well known that one of the common reasons for returning the clothes ordered online is the wrong size. We eliminate this risk by producing clothes according to your body measurements. In the unlikely event that you are not satisfied with the clothes, you can arrange a return for refund. Contact us at contact@dressarteparis.com within 5 days upon receiving an item, indicating your name, your order number, brief description of the problem you are experiencing. Items must be sent to us within 15 days after this notification. Returned items must be in their original packaging. Incomplete returns may be refused or disregarded. All items must be in unused condition. The returned items must be unworn, unwashed, or otherwise unused with original tags/labels attached. Dressarte reserves the right to reject return requests if the returned items are in unacceptable condition. What about the clothes that were made according to my body measurements? No worries! 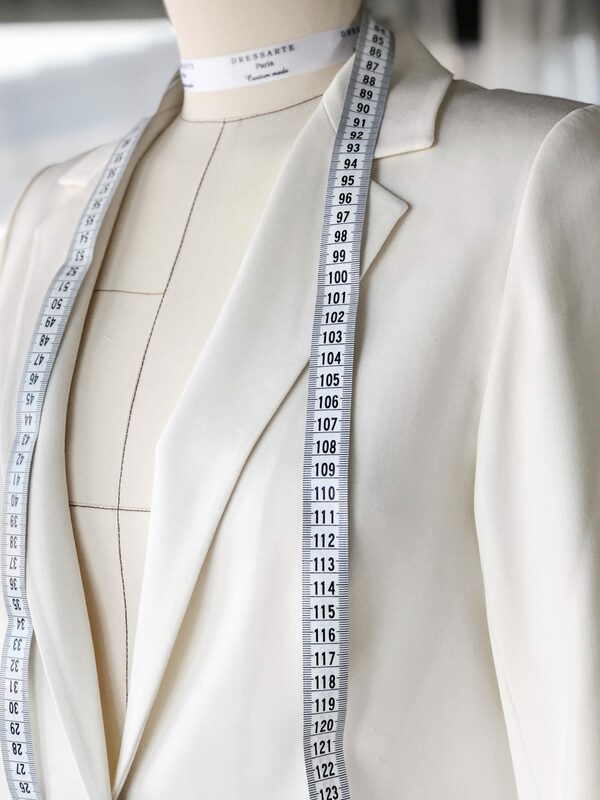 The rule mentioned above is applicable to the clothes of custom size (your body measurements) and of standard size. Your refund will be credited to the original payment method or as store credit. Standard size items can be returned for 100% refund of the item purchase price. Please note that clothes of custom size (according to your measurements) are refundable as 50% store credit and 50% will be credited to the original payment. Dressarte store credit is valid for 1 year. Please note that customs duties and sales taxes are non-refundable. The offer of reimbursement of taxes and duties for the first order is not applicable when returning clothes. No worries, we offer you 100% refund as follows: as 50% store credit and 50% will be credited to the original payment. Dressarte store credit is valid for 1 year. Can I cancel or change an order after I’ve placed it? If you have placed an order and decided that you would like to cancel the order or would like to add more items, we will accept your cancellation up to 24 hours from when the order was placed.